Navy veteran Mark Buckley served aboard the USS Decatur guided missile destroyer and on the USS Coral aircraft carrier, before becoming a driver with USA Truck Capacity Solutions. Buckley is one of many USAT drivers who came through the Arkansas-based trucking company’s Military Transition Apprenticeship Training Program, in cooperation with the U.S. Veterans Administration and the Department of Labor, which enables eligible veterans to receive Class A CDL training with no upfront costs. During his eight years at sea, Buckley worked as an interior communications electrician, responsible for operation and maintenance of communications, alarms, warning systems, ship controls, entertainment, navigation, flight deck video and control systems, and plotting equipment. It's a highly technical position that requires manual dexterity with tools, equipment and machines, organizational skills, resourcefulness and the ability to solve challenges alone and as part of a team. Buckley found that it was good preparation for being a professional truck driver. 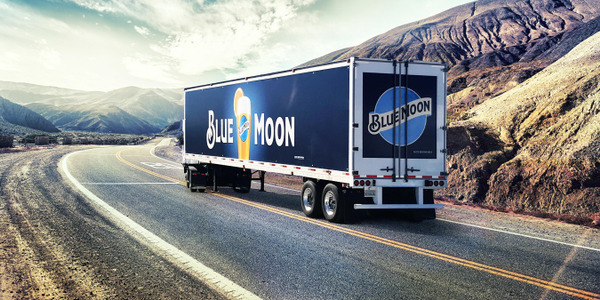 Perhaps it’s not surprising that than a quarter of USA Truck’s drivers are former military personnel, when you consider that USA Truck Capacity Solutions, as it’s known now, was started in 1983 by Robert Powell, a former Navy aviator. 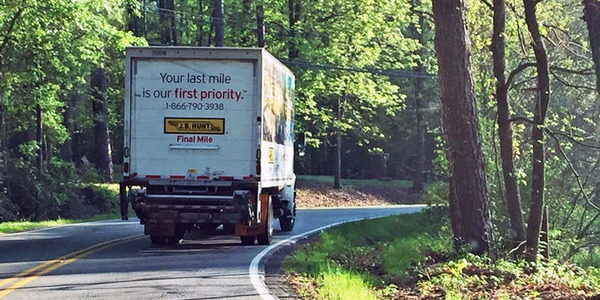 Started as Crawford Produce, with fewer than 10 trucks, today the company has more than 1,600 driving team members. 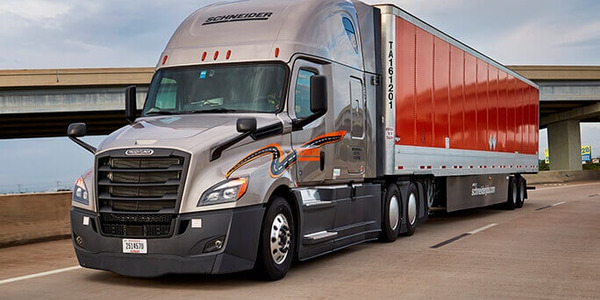 The truckload fleet features the iconic U.S. Air Force star and bars insignia on its trucks’ doors and provides customized truckload, dedicated contract carriage, intermodal and third-party logistics freight management services throughout North America. 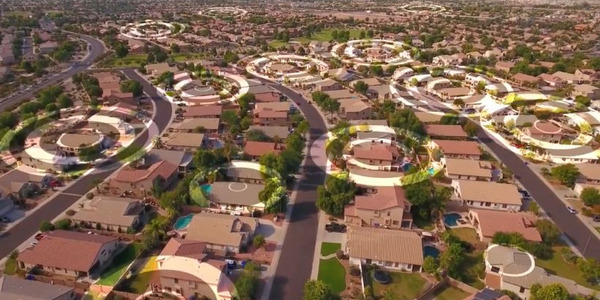 “When veterans enter into the civilian workforce, they look for opportunities like they had in the military, where there was a rally point with a community of like-minded individuals. 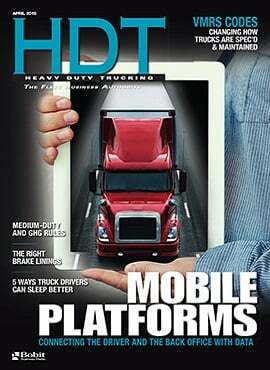 We want USA Truck to be a rally point,” said Steve Brantley, USAT director of talent acquisition. In 2017, USAT was recognized among the Most Valuable Employers for Military by RecruitMilitary, which identifies top civilian employers for military-experienced job seekers. “We love veterans from a recruiting standpoint, because they're resourceful and adapt well to facing challenges and overcoming obstacles,” Brantley said. 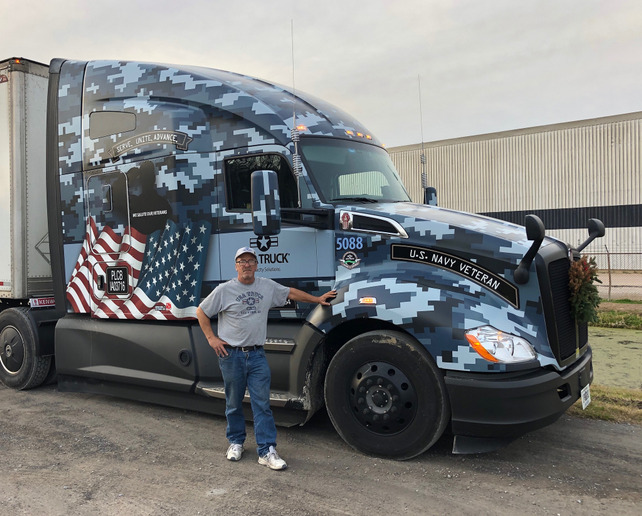 Mark Buckley is one of four USAT veteran drivers awarded custom Kenworth T680 tractors, each military-themed to represent their respective branch of service. 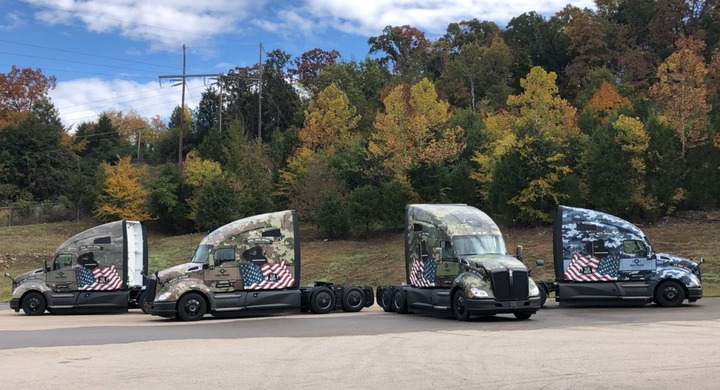 The tractors feature custom camo wraps and the slogan “Serve, Unite, Advance.” Buckley received his at a ceremony in New York's Times Square, where USAT is publicly traded on NASDAQ. The trucks and drivers serve as goodwill ambassadors for USA Truck, participating in events such as Wreaths Across America delivering holiday wreaths to veterans’ cemeteries across the country and The Wall that Heals, transporting a three-quarter scale replica of the Vietnam Veterans Memorial to one of its exhibit destinations. The other drivers are Glen Nelson (Air Force), Wayne Anderson (Army) and James Macy (Marines). The Kenworth T680 isn’t just used for these special trucks; this model makes up more than half of the USAT fleet. Since early 2016, the USA Truck division has acquired 625 T680s with 76-inch sleepers through MHC Kenworth - Van Buren. The latest order of Kenworth T680s marked USAT's first with an automated transmission. 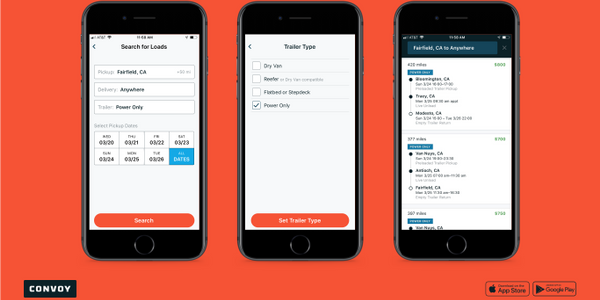 "The automated transmissions are particularly accommodating for drivers coming out of the military who are used to operating simplified Class-B level equipment,” said Nick Wakefield, director of driver recruiting. But it’s appealing to a lot of newer drivers as well. 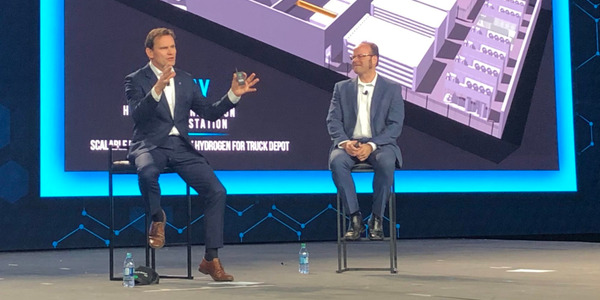 The trucks also have air-disc brakes, Bendix Wingman Fusion collision mitigation with adaptive cruise control, and Bendix BlindSpotter. 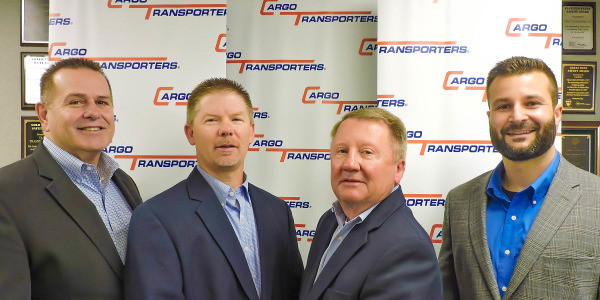 Cargo Transporters President Dennis Dellinger has added CEO to his title and announced more high-level promotions at the North Carolina-based carrier.